Welcome to T.G. Harris, MFT - Tanishia is a renowned Life Coach, counselor, author, speaker, and radio personality, host, brand ambassador, and now new author! We are excited to introduce her book to you all today! Tanishia is a renowned Life Coach, counselor, author, speaker, and radio personality, host, and brand ambassador. She is a conscious transformational expert who thrives on enlightening her clients to step boldly outside their comfort zone and into their greatness. She assists her clients in reaching their highest potential and attaining their lifelong dreams and goals through a powerful series of steps she developed called the Open-up Coaching Method. She embarked on a similar journey as the one you are undertaking, assisted by many of today’s well-known self-help gurus. That is what led to her desire to become a Counseling Psychologist and an Open-up Life Coach. After the birth of her first daughter (who is now a teenager), she immersed herself in yoga and meditation and has dedicated her time and energy to becoming profoundly aware of her own inner growth and awareness while assisting her clients to do the same. She is a powerful & intuitive high performance coach for those who are ready to hold themselves to a more fulfilled purpose in their life & business. Tanishia studied earth sciences as an undergraduate at UCLA, and while there, she decided to intern with the Semel Neuropsychiatric Institute. Serving as a resource counselor for HIV+ at-risk youth and women, Tanishia knew she found her calling in the field of Psychology. She went on to obtain her Masters of Science degree in Counseling Psychology with an emphasis in Marriage and Family Therapy. She didn’t want to wait until after she graduated to start working with clients, and she also realized that she enjoys coaching clients outside of the normal therapy that she provides in the clinical setting. She launched the Open-up Coaching programs and began speaking and lecturing about her own personal experiences of opening up and healing. She had A LOT of healing within herself that needed to be done. Her deep desire for self-realization, healing, peace, and balance within herself drew her to the field of coaching and psychology. 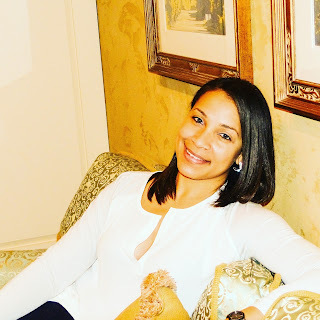 Tanishia is very intentional in her practice when working with her clients and she believes that a lot of the challenges her clients are faced with stem from old childhood beliefs systems and paradigms that are operating in the subconscious mind. She believes that we are no longer victims of the past. Today we can move beyond mere survival, and embrace our ability to thrive! Tanishia also provides mental health services for clients wanting more of a therapeutic counseling session. She provides counseling services to those in need and works under the supervision of a licensed psychologist while she is attaining her hours for licensure. Tanishia is a true environmentalist and she believes that being green is a consciousness, not a trend. She has a deep connection to the earth and all things natural. She sits on the Board of Friends of Geography at UCLA and is also a volunteer with the American Red Cross. This book is written for anyone who has a genuine desire to move forward in their lives but, despite numerous attempts, nothing seems to be working and you keep ending up with the same outcomes year after year. You will learn how to recognize habitual patterns of thought that are sabotaging your life on an unconscious level. Everyone has good intentions for their lives and ultimately wants the best outcomes, but oftentimes we get in our own way by allowing self-destructive thought patterns to impede our good intentions—without actually knowing we are doing so. I know this all too well because this was my life for several years. This book was written because of my own personal experiences in life, and the experiences of my clients that I serve in my practice. This book gets right down to your core by unveiling the good, the bad, and the ugly about the way you think about yourself and everything that is happening in your life. In essence, this book is entirely about YOU! Most of us try to change ourselves at the level of our thoughts, but true transformation happens at the level at which you vibrate. You will learn how to completely shift your vibrational way of thinking and allow better circumstances to come into your life, whatever they may be. 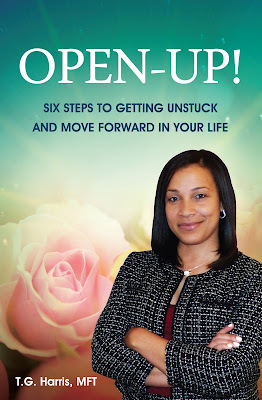 Whether you want to get unstuck in a relationship pattern or a financial pattern that keeps coming up, this book serves as a guide that will explore the moments when you get into trouble, and offers tools for learning to stay with your uneasiness, and offers concrete steps to get unstuck so you can finally move forward in life. You will learn the O.P.E.N.U.P. steps: Observation, Permission, Experience, Not Identifying, Understanding, and Practice. These steps will serve as your doorway into revealing the very thing that is keeping you stuck. Once you discover those “hidden” truths about yourself, your entire state of being will be altered, and you will no longer resist all the good that life has in store for you.